Ashley Heath has The New Forest on your doorstep. The 10 acre cosy and peaceful caravan park is three miles from the New Forest market town of Ringwood. Ashley Heath with 130 caravans offers a warm welcome and when you are feeling active, the Moors Valley Country Park is next door with walking and cycling trails, golf, fishing, a ‘Go Ape’ tree top adventure and even a narrow gauge steam railway. Also nearby is The New Forest stretching across 145 square miles. The famous New Forest ponies, along with donkeys, cattle and pigs roam free. When you need country shops, restaurants or a visit to the pub you can spend time in any of the New Forest villages dotted across the countryside. From £3,396 per season including VAT. Including rates and water. 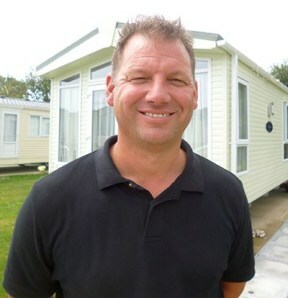 Find out more about buying a static caravan (new or used) at Ashley Heath. From Southampton continue along the M27 and A31 past Ringwood. Approximately 1 mile after Ringwood at the junction with the A338, bear left by the side of the flyover, round the roundabout, take second exit into Horton Road. Drive for 1.5 miles through the village of Ashley Heath. The park is located 200m past the sign to the Moors Valley Country Park, on the right.